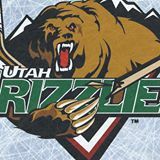 Home » Uncategorized » Utah Grizzlies Latino Hockey Night at the Maverik Center! Utah Grizzlies Latino Hockey Night at the Maverik Center! Comments Off on Utah Grizzlies Latino Hockey Night at the Maverik Center! We are excited to announce that we will be sponsoring Utah Grizzlies Hockey Latino Night at the Maverik Center along with Maverik on Friday October 25. We will be giving away tickets to the hockey game to fans that “Like” our Facebook page. Like Immigration Lawyer Scott D. Mills on Facebook!